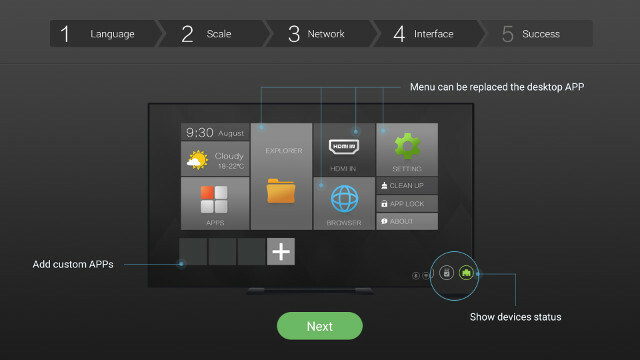 Zidoo X9S is more than a simple Android TV box, as it supports NAS function via OpenWrt running simultaneously with Android 6.0 and its USB 3.0 and SATA ports, as well as HDMI input function capable of recording and broadcasting videos, and supporting Picture-in-picture, so I find “Android Media Center” better fit the description for this device. I’ve already taken pictures of the Zidoo X9S and its board in the first part of the review, so I’ll test both Android 6.0 & OpenWrt firmware, and the most of the features in the second part of the review. I connected the usual accessories and cables to the box including a USB 3.0 hard drive, HDMI and Ethernet cables, USB RF dongles for MINIX NEO A2 Lite air mouse and Tronsmart Mars G01 gamepad, and a USB keyboard to take screenshots. I also added a 1TB SATA drive, and connected K1 Plus T2/S2 Android TV box to the HDMI input. Once you connect the 36W power supply, the front panel LCD display will show “boot” and the LED will turn blue. A standard boot takes about 40 seconds with my setup, but the very first time, you need to go through the setup wizard. You’ll be presented with a Welcome screen asking you to choose bring traditional or simplified Chinese, Turkish, English, Vietnamese, but selecting “more” will bring you many more languages options. The second step is for overscan adjustment (Scale) in case you have black bar and the interface is cut on either side of the TV screen. 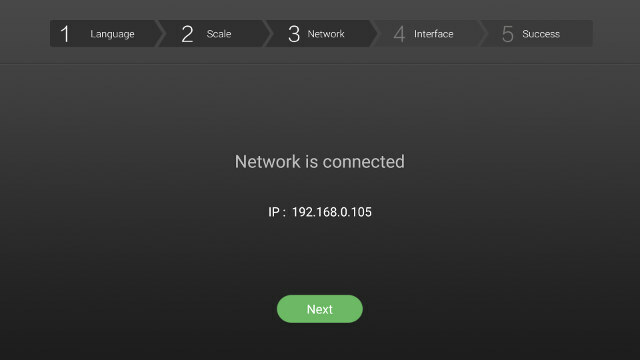 The third step will let you configure the network, and if you have connected an Ethernet cable, the system should get an IP address with DHCP automatically, and you just have to select Next. The fourth step of the setup wizards simply describes the user interface, and the last one congratulates you. 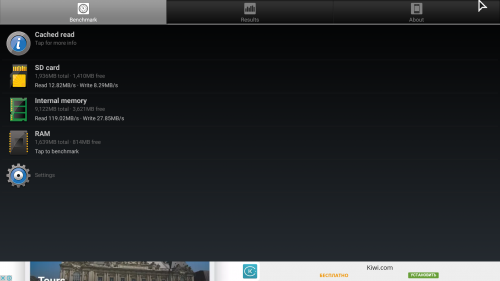 Click on Complete to get the ZIUI launcher, the same as found on other Zidoo devices such as Zidoo X6 Pro. At this stage, you’ll probably want to go to Settings to set your timezone, and potentially change video and audio settings. In my case, I set video output to 4K 60, and disabled HDMI CEC (now disabled by default with latest firmware). I’ve done this review with firmware V1.2.3, but the first time I got the box, firmware 1.1.20 was installed as shown in the About section of the launcher. I clicked on Update, and Zidoo X9S detected a new version (v1.1.26) with a detailed changelog. I clicked on Update again to start the download. To clicked on Update (again) to reboot the device, and complete the OTA firmware update successfully. All my settings and currently installed apps were still present after the update, so it worked perfectly. 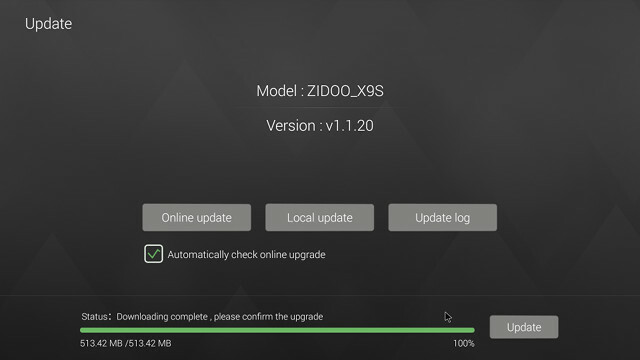 Zidoo updated the firmware with feedback from beta testers, and I eventually updated the firmware to V1.2.3 with a USB flash drive (Local Update) for further testing, and it also worked just fine. 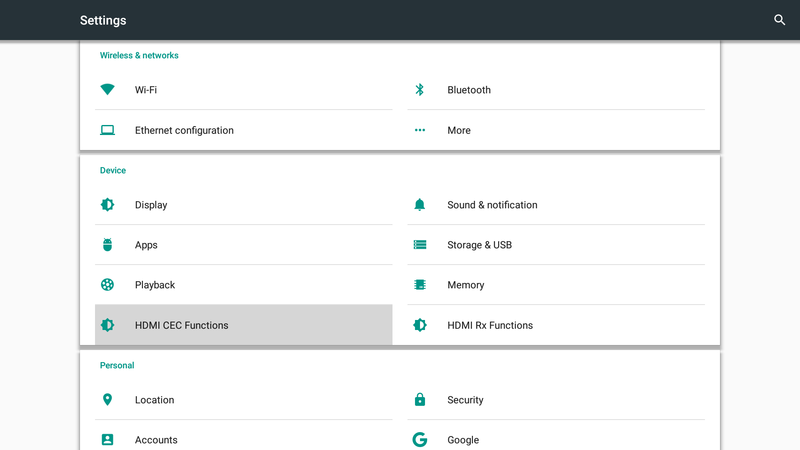 Zidoo X9S has no separate app for settings like in Amlogic devices – not necessarily a bad thing – , so instead you get to “standard” Android marshmallow settings with some settings specific to TV boxes and NAS functions. 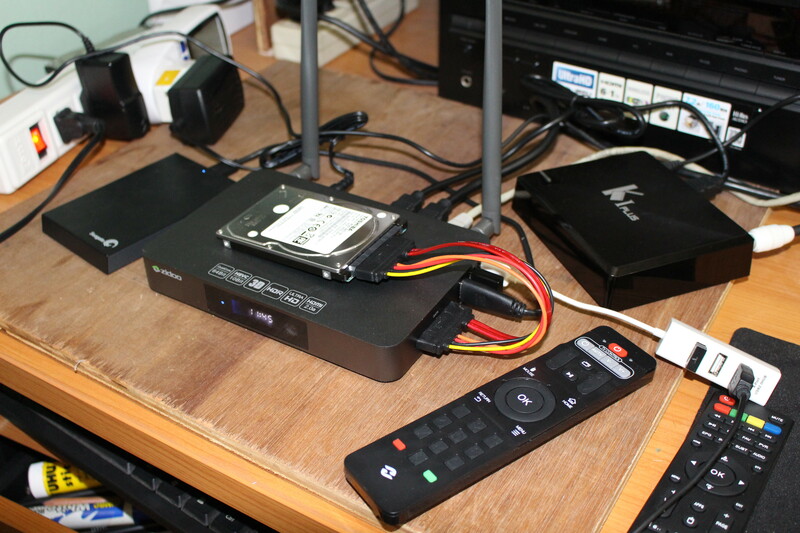 More – Portable hotspot, VPN, DLNA DMR, Set Device Name (for DLNA/UPnP), Miracast Sink, and Openwrt Settings. You also have other options like Daydream, printing, language & input, accessibility, and so on. 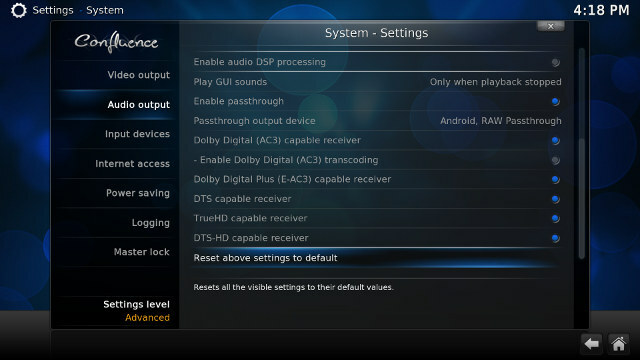 I had no problem with Ethernet and WiFi, and HDMI output selection works, except it will often revert to 720p60 or 1080p60 possibly because the system is confused by the TV and AV receiver settings like so many other TV boxes. Internal storage usage does not seem optimized, even considering the OpenWrt partition, as only 8.91 GB is available to the user in the “internal storage” partition out of of the 16GB eMMC flash. Having said that, this should still be plenty enough of space for most people. The good news is that both SATA and USB 3.0 drive partitions were recognized with NTFS, exFAT, EXT-4, and FAT32 file systems supported. Most Android TV boxes will not work properly if you attach more than one hard drive. and runs Android 6.0.1 on top of Linux 4.1.17. The firmware is not rooted. Zidoo IR remote control worked fine, including the IR learning function which I tried with power and volume keys of my TV. The range was good up to around 10 meters. I wish Zidoo would also offer an air mouse as option, as I had to switch between Zidoo remote control and MINIX NEO A2 Lite air mouse more often than usual during use, since the air mouse is not always the best with Zidoo Apps like Media Center or HDMI IN apps. Google Play Store worked for most apps, except apps requirement Bluetooth LE/Smart support such as Mi Fit or Smart Movement. I could also side-load Amazon Underground app and install the free version of Riptide GP2 racing game. Just like with their previous model Zidoo did a decent implementation of power handling. 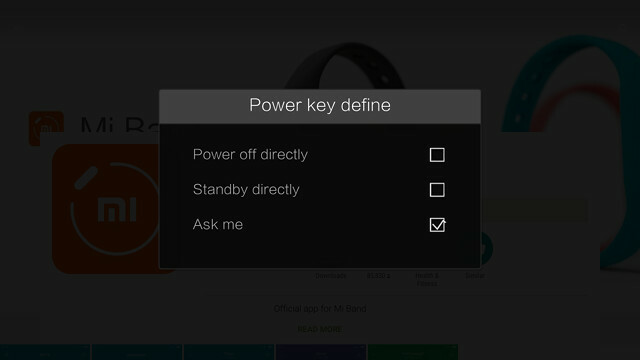 A short press on the remote’s power key will show a menu with Power off, Standby, and Reboot. The current firmware does not support Auto power off like in their previous device. If you don’t want to be asked what to do each time, a long press on the power key will bring up a menu to configure the key behavior. There’s also no problem with turning the device on from your sofa with the remote control. So everything looks pretty good, and it also means you could probably connect a few more hard drives to USB 2.0 ports, or via a USB 3.0 hub if you wished so, and it would still work. I wish there could be a “connected standby” mode to allow user to keep downloading files in the background, or let them access OpenWrt services while HDMI output and GPU are in low power mode, but I’m not sure that would save that much power. Currently, turning off the TV will not change power consumption of the device either. Zidoo X9S metal case feels hot at times, but after Antutu 6.0, I measured just 38°C and 39°C max on the top and bottom of the enclosure with an IR thermometer, and after 15 to 20 minutes playing Riptide GP2 the temperature went up a little to respectively 41°C and 45°C. I did not experience any slowdown while playing the game. 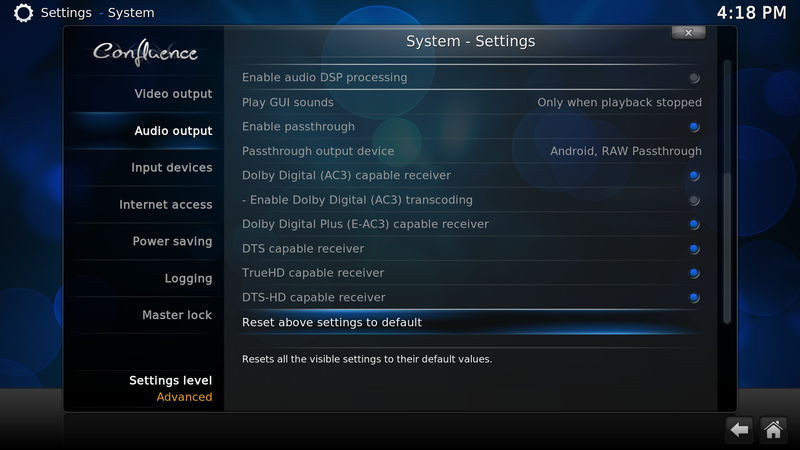 However, once I tried HDMI audio pass-through after several hours of testing, and found that it did not work reliably (my AV receiver was switching between DTS/UNKNOWN erratically) and the video were not smooth at all. I repeated the same test the next morning, and everything worked perfectly. The ambient temperature at the time of the issue was 31 °C, and it’s possible the device overheated the first time. My first impressions about Zidoo X9S were quite good, with the firmware responsive and stable, and many options to satisfy the needs of most users. Beside the potential overheating issue, one small annoyance in the firmware is that the App list is sorted by usage frequency, instead of alphabetical order, so if you have many apps installed it can be confusing. There are to main ways to play videos in Zidoo X9S: ZDMC, a fork a Kodi 16.1, using an implementation from Realtek (RTDPLAYER), or Media Center app developed by Zidoo themselves. It’s also possible to set ZDMC to use Media Center by enabling Settings -> Video -> Playback –> Play video with external player. I’ve tested ZDMC with the internal player for most of the video, and switched to Media Center to double check for videos with issues. Automatic refresh rate switching (Adjust display refresh rate) is enabled by default in ZDMC, and worked well. So that’s very good so far, and I switched to Dolby and DTS audio testing using both PCM output (stereo downsampling) via ZDMC and Media Center apps, and HDMI pass-through in both apps using Onkyo TX-NR636 receiver. I had to repeat the test twice with HDMI pass-through using Media Center app with tries marked as #1 and #2. 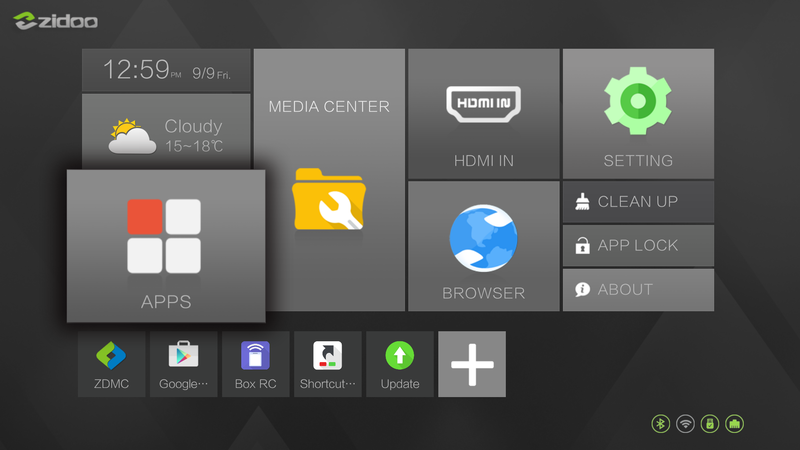 Zidoo X9S is a massive improvements compared to most other Android TV boxes on the market with both HDMI audio pass-through working well, and DTS and Dolby audio licenses (also confirmed with MX Player app). 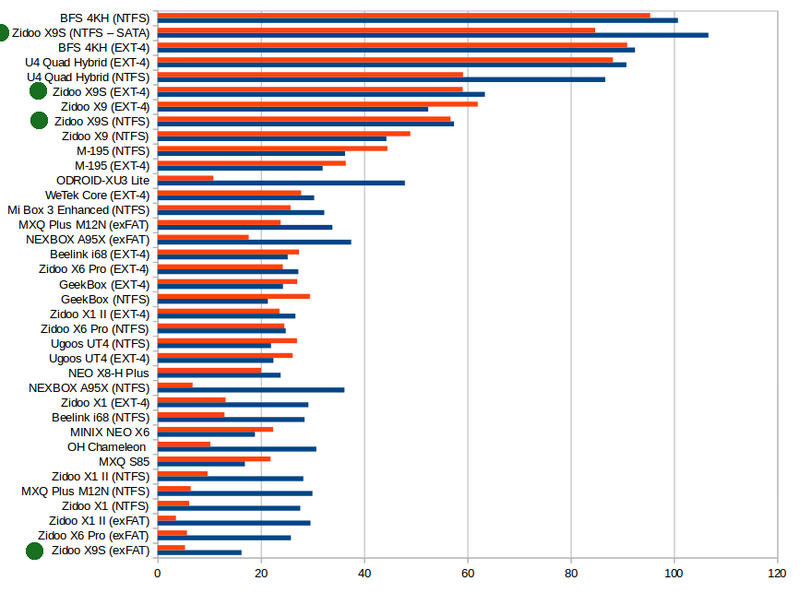 But what happened in the forth column, with my first attempt (#1) a disaster, and the second one (#2) working just fine? The first test was done after testing the device for several hours, and the room temperature was around 30 C, while the second attempt was the next day, a few minutes after a fresh boot, so it appears the device overheated, and it greatly affected the performance in the first try. That’s the only instance when I noticed the device overheating. It might not be an issue if you live in a temperate climate, but something to keep in mind if you live in hotter climates (or during summer). You may have already read my post about HDMI audio pass-through and 4K video support on Realtek RTD1295 processor, where I found many of my 4K video samples not playing smoothly on the platform. 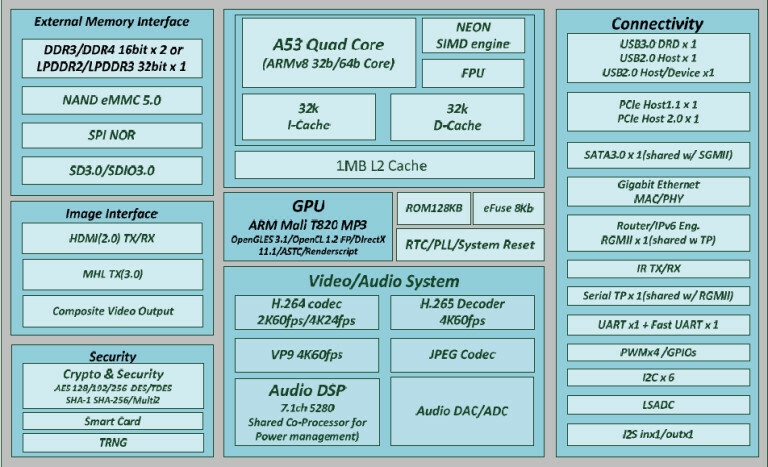 I’d like to put some perspective to with the SoC block diagram. 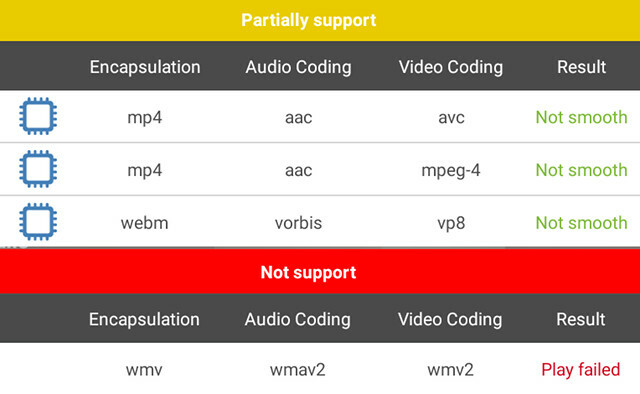 The Video/Audio System section shows the SoC support H.264 video codec up to 2K @ 60 fps & 4K @ 24 fps, H.265 up to 4K 60 fps, and VP9 up to 4K 60 fps. One question you often may want to ask when you purchase a media player, is if it is future proof. But Realtek decision to limit 4K H.264 to 24 fps makes it “not proof for the present” due to the millions of cameras (e.g. GoPro/Xiaomi) and phones capable of recording 4K H.264 @ 30 fps sold on the market. Whether this matters to you or not, you’ll have to decide by yourself. Following problems with 4K VP9 60 fps videos reported to Zidoo, the company also informed me that 4K VP9 would be limited to 30 fps. VP9 is not used very much right now, and this will probably mostly matter if you download 4K YouTube videos @ over 30 fps using VP9 codec. Nevertheless, while no TV box will be able to play all of the 4K video samples I used for review, Zidoo X9S is unable to play many of them smoothly. I repeated the test with a more recent firmware (V1.2.3) both in ZDMC with internal player, and Media Center, and I’ve prefixed lines with samples out of specs with OoO. OoO – HD.Club-4K-Chimei-inn-60mbps.mp4 (H.264, 30 fps) – Not smooth in ZDMC, better in Media Center app, but still not perfect, especially at the end. 4K video playback is quite disappointing in ZDMC with the internal player, but with Media Center it’s pretty good with videos within specifications. Some H.264 4K 30 fps videos are almost watchable in Media Center app, if you allow for a few frame drops and rare slowdowns here and there. You can see HDMI audio pass-through and ZDMC 4K video playback with an earlier firmware (few differences) in the video below. Sintek-4k.iso & amat.iso (non encrypted) Blu-Ray ISOs, and MPEG2 1080i videos could play just fine. Like on most platforms Hi10p is not supported by the hardware, so it must be done with software decode, and ZDMC could handle the 720p Hi10p video, but the 1080p one would not be smooth, and exhibit some artifacts. Media Center won’t play Hi10p videos at all. 3D-full-MVC.mkv (Full-frame packed MVC 3D MKV) – Plays in 2D by default (since my TV does not support 3D), but can be force to 3D, with the 3D icon showing on the Onkyo receiver. ISO-full3D-sample.iso (Full-frame packed MVC 3D ISO) – Plays in 2D by default (since my TV does not support 3D), but can be force to 3D, with the 3D icon showing on the Onkyo receiver. Finally, I played several MKV, VOB/IFO, AVI, XViD/DViX, MP4, and FLV videos from my library in ZDMC, including one full 2-hour 1080p H.264 movie, and the vast majority could play just fine, with the exception of some FLV videos. 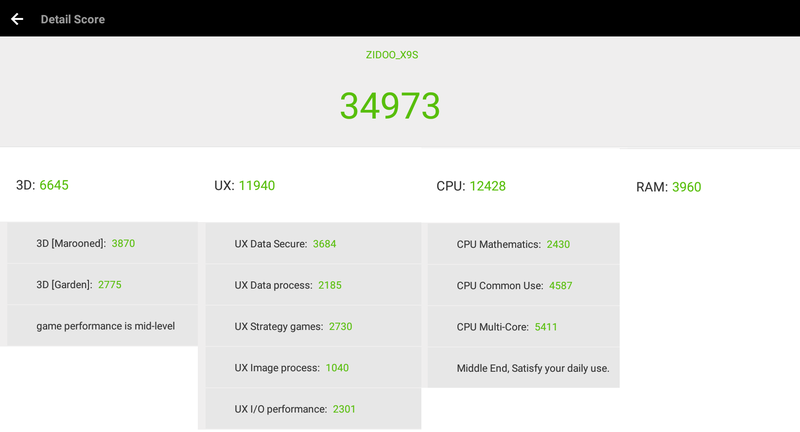 In order to have a formal video & audio capability score, I’ve also run Antutu Video Tester 3.0 benchmark, with Zidoo X9S getting 888 points, a score pretty similar to what you’d get on Amlogic devices. Some videos were only partially supported, as the app detected they did not play smoothly, and one WMV/WMV2/WMAV2 video completely failed to play. I also heard some video had issues with audio (only noise), but the app did not seem to pick this up. DRM info app will crash, so I was not able to find out whether Widewine or PlayReady are supported, but it’s probably safe to assume they are not… YouTube worked fine me up to 1080p. Video samples used in Kodi for this review can be downloaded via links in the comments section of my audio & video samples post. HDMI input is one of the main selling points of the Zidoo X9S, and I’ve already tested video recording, video streaming, and picture-in-picture in the post entitled “Zidoo X9S Android TV Box HDMI Input Testing – Video Recording, PiP, and UDP Broadcasting“, where I found that all three features worked reasonably well, despite my having some issue with audio at the beginning. One issue included RAW audio (AC3/DTS) recording not working, and videos broadcasted over UDP are not quite as smoothly as the original input. I’ve already explained how to access OpenWrt, and perform its first time configuration, so here I’ll report my findings with some of the available services, namely SAMBA, FTP, and Bittorrent. As shown in the description of settings, but you disable/enable services on OpenWrt directly within Android settings, but in some cases, such as SAMBA, you may also have to define the shared directory(ies) within OpenWrt LuCI web interface. To do so, go to About in the launcher, note the IP address of Zidoo X9S, and access LuCI in your PC web browser @ http://ZIDOO-X9S-IP-ADDRESS. You’ll find the following NAS services on the top menu: DLNA, iTunes, Samba, FTP, TimeMachine, and BitTorrent. 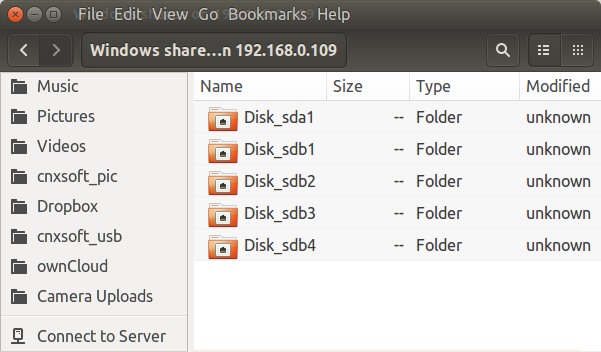 I’ve enabled SAMBA shares for the SATA drive NTFS partition, and all three USB 3.0 partitions. “OpenWrt” client won’t show in Ubuntu 16.04 with Nautilus, but I could select “Connect to Server” and input smb://ZIDOO-X9S-IP-ADDRESS to access the list of shares. Disk_sda1 is the SATA drive share on Zidoo X9S, and I could transfer large files from my PC’s SSD to Zidoo’s SATA drive at a reasonable speed (~49 MB/s) over Gigabit Ethernet. I could also play a few 1080p and 4K videos on my computer using Zidoo X9S as a SAMBA server. Then I switched to FTP with Filezilla program, and I could easily transfer files after login as root user. Performance basically maxes out the Gigabit Ethernet connection at close to 90 MB/s. Finally, I’ve configured BitTorrent. By default it will download files to /tmp/bittorrent (Ramdisk), so you may want to change that to a directory on SATA or USB storage… It’s a little inconvenient as the path need to be type by hand, and mine looked like: /storage/309C86229C85E2A8/transmission/done. Then you can open Transmission web interface @ http://ZIDOO-X9S-IP-ADDRESS:9091 (a reboot may be required), in order to add torrent either from .torrent files downloaded to your PC or direct links to torrent files. Add when adding .torrent file, the download would never seen to start. We’ve already seen Gigabit Ethernet interface is doing its job in the OpenWrt section, but I’ve also tested WiFi performance by transferring a 278MB file between a SAMBA share and the internal flash in both directions using ES File Explorer. Zidoo X9S can achieve 3.6 MB/s on average with 802.11n @ 2.4 GHz, and MB/s with 802.11ac (434Mbps Link Speed) both of which are excellent, and near the top oftheir respective category against competing devices. That’s impressive, as it’s quite rare to see ARM based SoCs for TV boxes nearly hit Gigabit Ethernet speed in full duplex. So both wireless and wired networking performance on Zidoo X9S is outstanding. After I paired Vernee Apollo Lite smartphone with “Realtek Bluetooth”, I could transfer several photos over Bluetooth. However, I also got the message “Unfortunately Bluetooth has stopped” a few times, so the transfer failed for some photos. Since Google Play would report BLE app to be “incompatible with this device”, I side-loaded Smart Movement app, and I could synchronize data from my Bluetooth Smart fitness tracker without issues. The firmware is not rooted, so I skipped sixaxis gamepad test. completely failed to detect my Bluetooth headset. I could however pair my Bluetooth headset, and watch and listen to some YouTube videos with it. I have a 1 TB USB 3.0 Seagate hard drive with 4 partitions with different file systems, and Zidoo X9S could mount 3 of them, and a FAT32 micro SD could also be mounted in read/write mode. So file system support is a bit better than most other devices that do not always support EXT-4. Zidoo told me that they are using Paragon NTFS, a commercial implementation of NTFS file system that normally delivers much higher performance than NTFS-3G open source implementation. I ran A1SD Bench again for test Zidoo X9S eMMC flash, but I never managed to do so without “Cached read”. eMMC write speed was 25.71 MB/s, and the cached read speed was between 80 and 102 MB/s. I shortly played Candy Crush Saga with the air mouse, and as expected no problem at all here. So I moved to my wireless gamepad, and Beach Buggy Racing 3D game, which also played perfectly smoothly even with maximum quality settings. Riptide GP2 had very much the same user experience as on Amlogic S912 SoC with the game being playable, but not perfectly smooth, with the “highest resolution” settings. I could play the latter game over 15 minutes with any obvious degradation in performance, so the overheating issue is not that easy to reproduce. You’ll find results Antutu, Vellamo, 3DMark, and CPU-Z in Zidoo X9S Realtek RTD1295 Android & OpenWrt TV Box System Info & Benchmarks. The results are about as expected with a CPU performance roughly equivalent to what you’d get with Amlogic S905 CPU, and GPU performance and capabilities (OpenGL ES 3.1) similar to Amlogic S912. Zidoo appears to be getting better and better overtime, and Zidoo X9S might be their best devices so far. They also invited a team of beta testers to provide inputs and report bugs before sending to end users, so this might have help. At first, I was disappointed by RTD1295 SoC limited 4K capabilities (4K H.264 up to 24 fps, 4K VP9 up to 30 fps), but if you can do without those, the firmware is normally excellent with HDMI audio pass-through, automatic frame rate switching, outstanding networking and storage performance, and most features working out of the box. HDMI Input (up to 4K60 input) with video recording, UDP broadcasting, and picture-in-picture support. N/B/: Recording can only be done up to 1080p30, so video input may be downscaled. 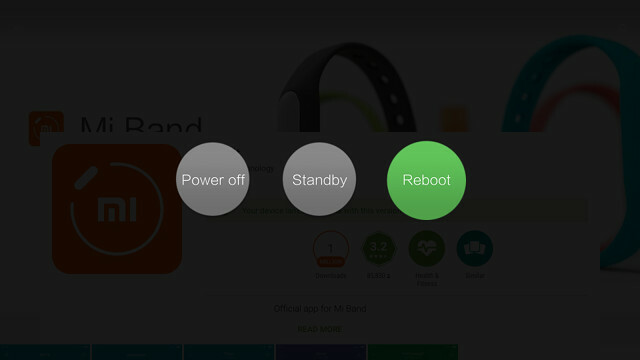 Proper power handling with power off, standby, and reboot, and low power consumption in off/standby modes. The provided 36W power supply also allows the connection of multiple hard drives. 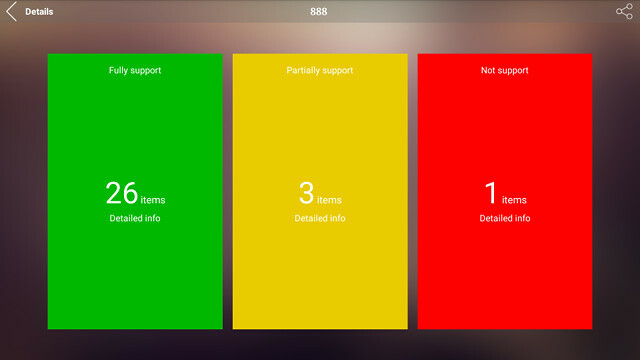 Zidoo support – Frequent firmware update (with Changelog) and user forums. 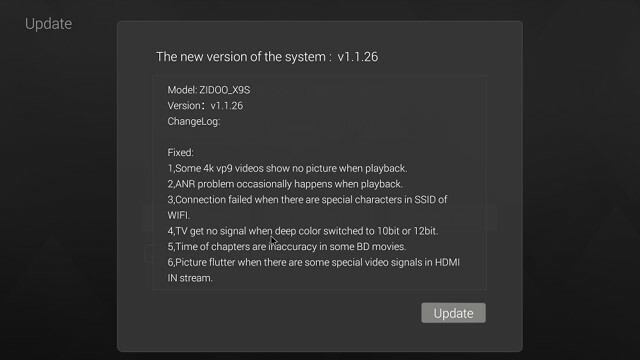 4K videos are often not smooth when using the internal player in ZDMC (Kodi 16.1 fork). Third party air mouse (MINIX NEO A2 Lite) is not always usable with Zidoo apps, and Zidoo IR remote is not really suitable for general Android usage (no proper mouse function), so you may have to jungle between Zidoo remote control and your air mouse more than one other devices. Alternatively using Zidoo RC app with your smartphone is an option, but I’d wish Zidoo would make an air mouse specifically for their devices. 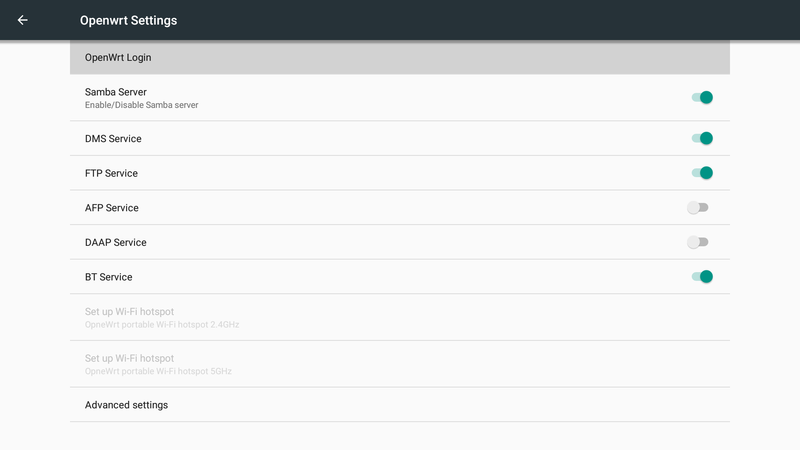 Minor – App list in “most used” order, not alphabetical, which makes it hard to find apps if you have any installed. Potential OpenWrt issue – While adding torrent files to Transmission web interface work, Bittorrent downloads would not start. 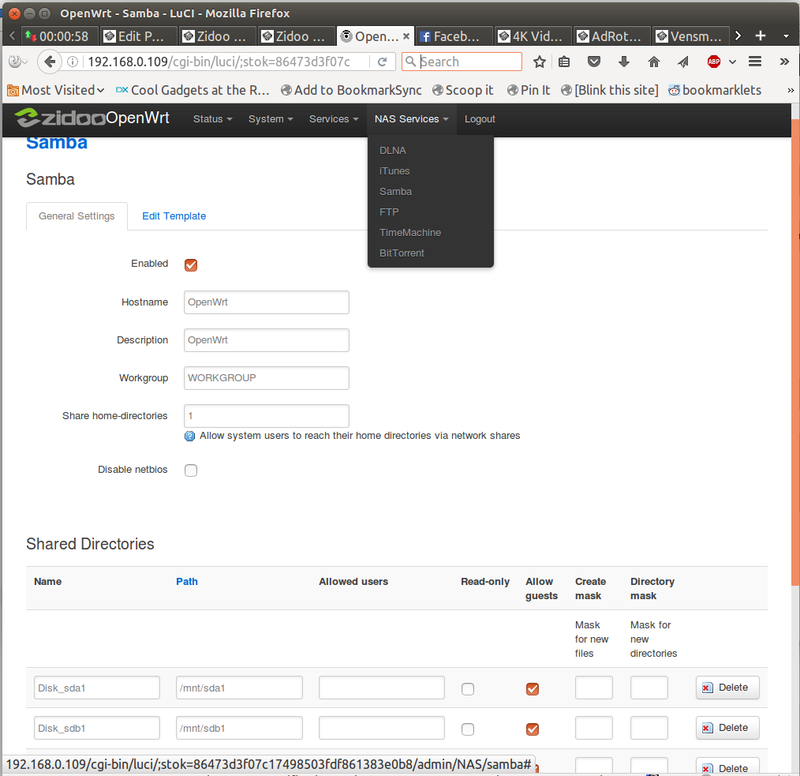 SAMBA server not automatically detected in Ubuntu, smb:// address needs to be typed manually. If you plan to use Zidoo X9S to its fullest with 4K media playback, NAS functions, and HDMI input features, the media center is actually very good value. I’d like to thank Zidoo for sending a review sample. Resellers and distributors can contact the company to purchase in quantities, while individual will find Zidoo X9S for $139 on Amazon US with O974D68X coupon (also works in other Amazon stores) and other online resellers such as Chinavasion, GeekBuying, DX, or eBay. Thanks again for this awesome review, especially about the NAS configuration. thank you friend. I agree with you. 1. How exactly does openwrt run on it? Is it some sort of a VM? Sandbox? What is wifi clients performance using it? 2. Is it possible to define more then one SSID (i.e guest AP) with that device? 3. And finally while the root is not included, is there rooting method available for that device? 1. I’m guessing it’s running in a chroot, just like other Linux distributions that can run in Android. That’s probably the simplest way. 2. There’s an option to use it as an access point, but it’s not something I have tried, and I’ve switched to another hardware platform. 3. Maybe. Better ask on Zidoo forums. wonder if it will support 4 disks through usb 3.0 and hub, or 2 disks on Usb 2.0 ports. 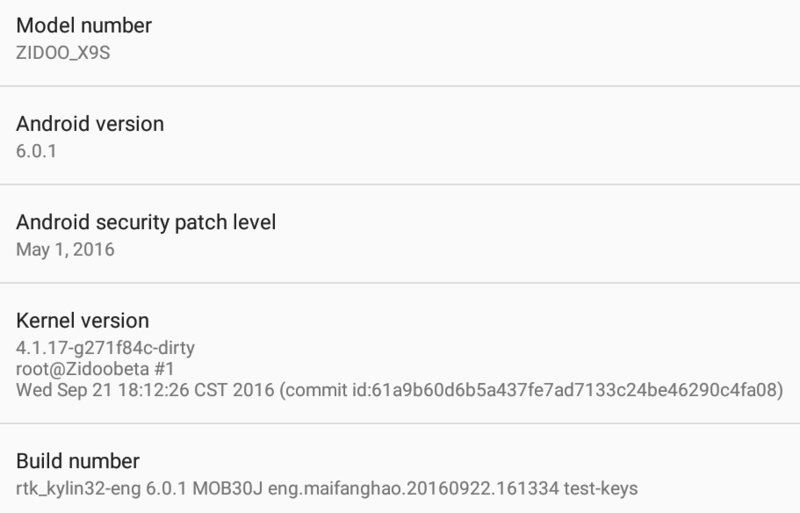 is mdraid supported in openwrt? When I mount a 3.5 inch 2TB seagate barracuda over the sata, my wireless keyboard does not work properly when connect to one of the usb ports, does not matter if it is usb 2 or 3. It looks like there is not enough power for the usbs. Maybe is because I use a full 3.5 inch hard drive? I have movies on my iMac, I want to copy them on an external hard drive connected in SATA on the X9S, all in ethernet. whit CPL. In SMB this does not work, the only solution is to switch to ZEROCONF. I have parameterized as the picture of the tab SAMBA but the transfer is very long, for 9Go it marks me about 3 hours, I waited but I canceled. I want to know if this is normal? Great review and thank you so much for your time to put all goodies :). You got 25MB/s because of you used Zidoo X9S 1.0 with RAM of Toshiba. ZIDO sent that version of X9S to reviewers, but for production they use slower, cheaper Samsung’s RAM. I have only 13MB/s at my X9s for writing. I think that it’s shamelessly to use such approach – send to reviewers one version and use om Prod another with cheaper components. 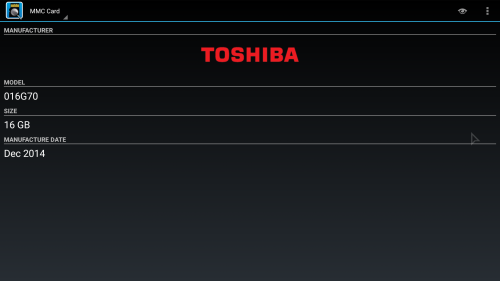 Zido X8 still uses Toshiba’s RAM. Owners of ZIDO X9S have issues with youtube application. Solution – move youtube’s cache to another disk. Hi can you please teach me on step by step configuration on how Openwrtwill work on my zidoo x9s. Have you already read the following post http://www.cnx-software.com/2016/09/09/zidoo-x9s-realtek-rtd1295-android-openwrt-tv-box-system-info-benchmarks/ that’s linked to in the review above? So looks like a winner to me (unless you can assign various PiP actions to any Beelink button). 1. If it’s in a stand-by mode, can it just relay audio-video from HDMI in? 2. Does it switch or can it be made to switch between PiP (main screen Zidoo, PiP — hdmi-in) and full-screen HDMI-in on push of a physical button? I have a real Android TV box and I much prefer the genuine Android TV experience to all those regular Android boxes and most of the time I want to run Plex client on my Android TV box without even switching Zidoo on. Zidoo comes to play is when I’m watching a game on my Android TV box and want to switch it to PiP during intermissions or if the game is boring, so then I’d like to run Plex client on Zidoo and have a game in a small picture with an option to put it in the foreground (and back) with a press of a button on the remote. I’ve been using Sony ageing Google TV box which as far as I know the only genuine Google TV/Android TV box with HDMI-in and proper PiP, but as it came (and will forever stay) with Honeycomb I’m looking to replace it with more up-to-date hardware/software combination. If anyone is using their Zidoo for this or similar purposes, please reply. great review….BUT i can’t believe you did not mention the fact that PQ is MUCH, much better when using external player instead of internal kodi-fork !!!!! And war is a thankless task, it may lead to nothing. We must still work together and make the device better, more stable. I really went too far with the statements, and caused damage to the company Zidoo, in the face of Freeroc manager. For that I apologize. I was not right, the company is working on the bugs and try to make your device better. Thanks for the great review, especially the NAS part to me. Could you also compare NAS performance between SATA drive and USB3.0? 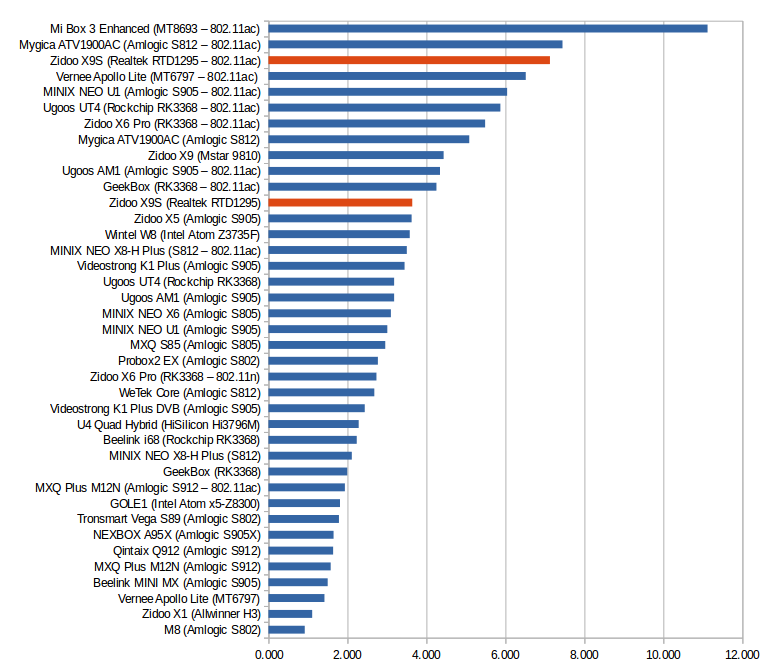 USB3 (with NTFS) speed is around 56M/s, already faster than NAS on SATA (49M/s). I guess it would not be much different between SATA drive and USB3, in SAMBA perspective? Sorry, I don’t own the device anymore. I’d still expect NAS performance using USB 3.0 to be slightly lower than SATA, but maybe not that much lower, as long as you only copy large files.